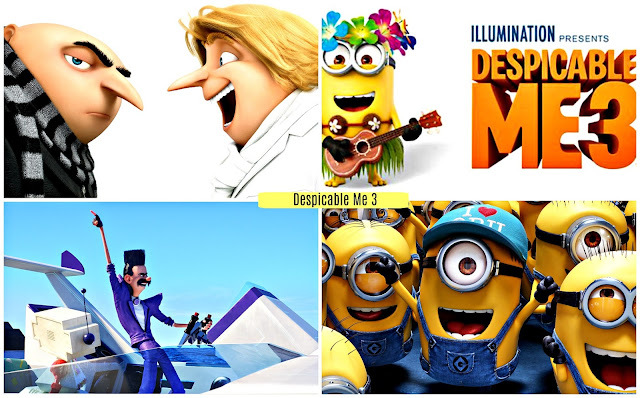 Despicable Me 3 is finally here! Mark your calendars and plan to go see Despicable Me 3 on June 30th, 2017. It is the third installment in the Despicable Me film series. The main character, Gru, is a lovable villain who has a great heart. In the first film, Gru becomes a Dad and learns to love unconditionally. In the second film, he gets married and uses his evil training to do good by joining the AVL (Anti Villain League). In this new Despicable Me installment, Gru is introduced to his twin brother, Dru, which he was separated from at a young age. Gru is a great character dealing with very real issues including parenting, family and career with a sense of humor. His approach to dealing with serious villain moments is with a good dance fight. He makes you feel that a good dance fight helps you forget about your troubles. Disclaimer: A big thank you to the movie premiere sponsors and hosts: Universal Pictures, Big Honcho Media, Kellogg Cereal, Yummy Spoonfuls and Bounty. We did not receive any compensation for our review of the movie. All thoughts and opinions are all my own. The movie delivers great messages throughout the film. Sticking together as a family and loving unconditionally is clearly demonstrated in the film. The humor and valuable moments that Gru and his minions experience are unforgettable. The best part is that it will make you laugh and at times surprise you. I think I spit my soda out by accident in one scene. It is hard not to laugh as Gru does things that are socially unacceptable with adding his touch of love. 3. When he is doing villain work with his partner Dr. Nefario, instead of complaining he just says, “Why are you so old.” Which means you did the wrong thing. 6. Gru has to explain to his kids that he has been fired. His explanation is “We were invited to not work there anymore.” Translation I was fired. Get out and forget about all your troubles by watching Despicable Me 3. You will absolutely love the characters, the messages and the music. The movie is about 1 hour and 36 minutes in length. Produced by illumination Entertainment and released by Universal Pictures this June 30th. Directed by Pierre Coffin and Kyle Balda and co-directed by Eric Guillon. Writers are Cinco Paul and Ken Daurio. The voices of the main characters are Steve Carell, Kristen Wiig and Trey Parker. Disclaimer: We participated in a media event and we previewed the movie. We did not receive any compensation for our review. Big Honcho Media sent out the invitation to attend the movie on behalf of Universal Pictures. The event was sponsored by Bounty, Yummy Spoonfuls and Kellogg's. 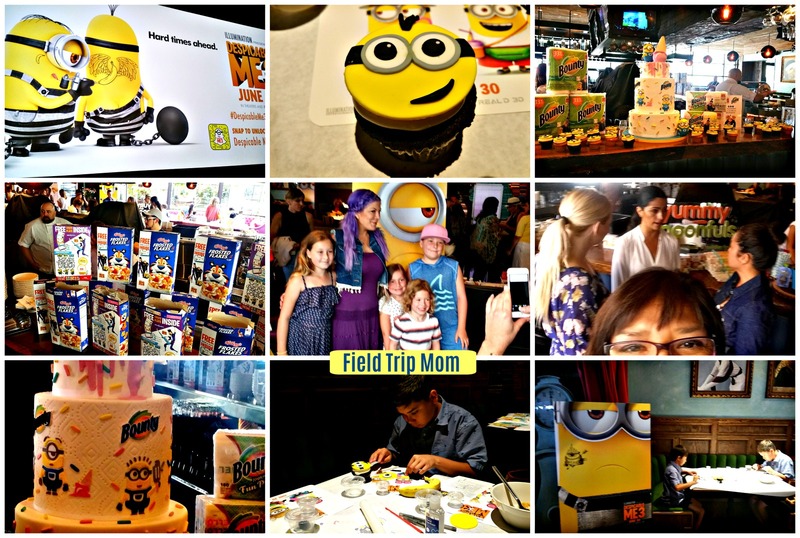 Kellogg provided one box of cereal per person, Bounty gave one despicable Me logo paper napkins and Yummy Spoonfuls gave out samples at the movie premiere. 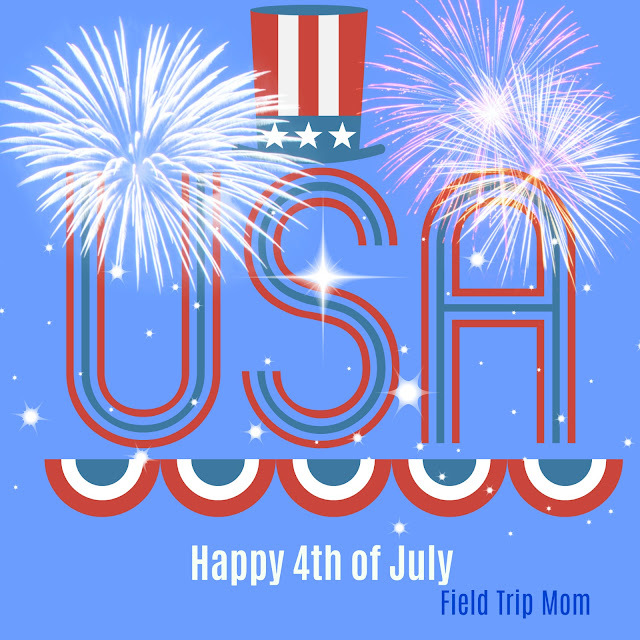 We did not receive any compensation for our travel, lodging, dining or cash. All Thoughts and opinions are all my own. The San Bernardino Fire Authority has published the following list of locations for 4th of July Fireworks. Saint Paul's Greek Orthodox church hosts, "A Taste of Greece". Saint Paul Greek Orthodox Church is hosting 39th annual Greek festival titled, “A taste of Greece”. It is one of Southern California's most popular summer events in Orange County. 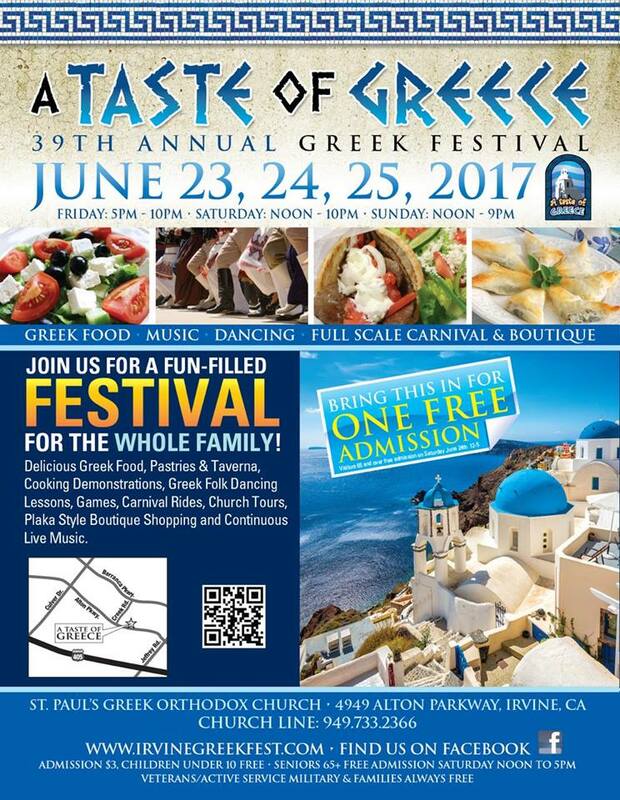 This year, it promises to host approximately 12,000 Greek foodies and local fun loving Southern California residents. Admission to “A Taste of Greece” is $3.00. The event offers fun activities and foods for the entire family. 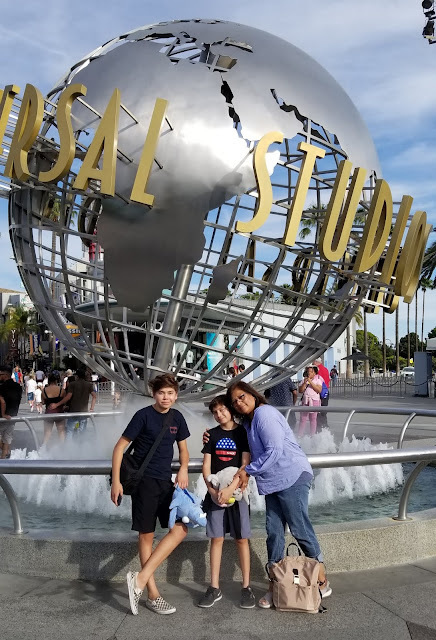 The list of activities include: carnival rides, cooking demonstrations, international boutique store, Greek folk dancing, church tours and lots of delicious Greek dishes for purchase. The church is located in the heart of Irvine, at 4949 Alton Parkway, Irvine, CA 92604. Parking Information: Limited Handicapped Parking is available in the St. Paul’s church parking lot. Additional parking can be found west of St. Paul’s church at the Irvine Congregational Church and Woodbridge Center lots. Off-site parking is provided at the Woodbridge Senior Center located at 20 Lake Road, located on Lake Road between Barranca and Alton. The shuttle runs every 15 minutes: Friday from 5:00 to 9:30 pm Saturday and Sunday from 12:00 noon to 9:30 pm Drop-off is at the front driveway of the church. 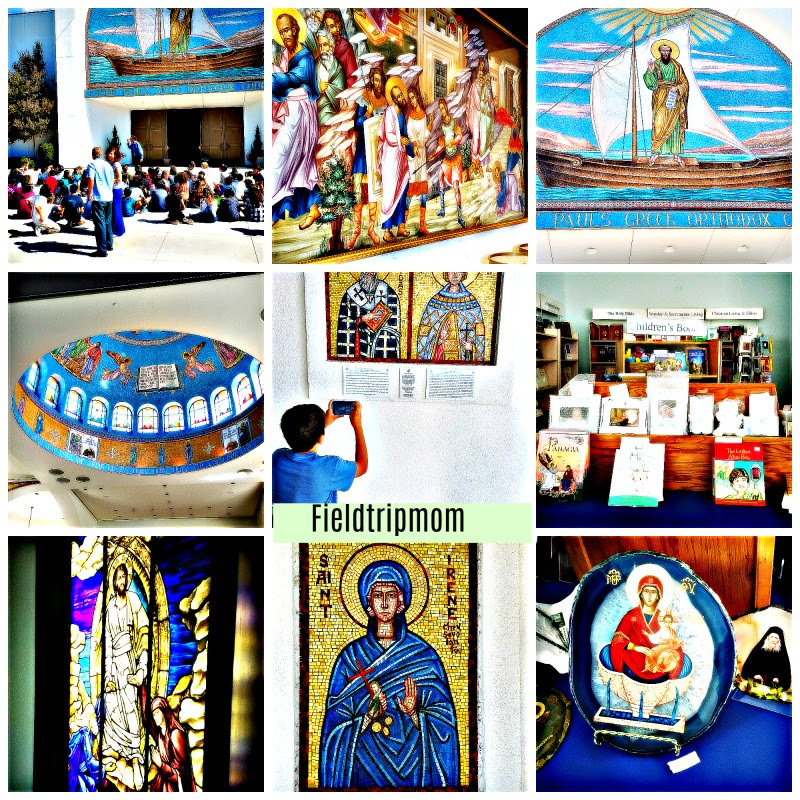 We recommend everyone enjoy the church tour because the inside of their sanctuary is really beautiful. In the middle of the church, do not forget to look up to the stain glass that captures light and reveals its beautiful colors. It is a place of worship so remember to not bring food or drinks inside. Good manners are welcomed. Calamari – Greek seafood delicacy with tartar and cocktail sauce. Chicken – Leg and thigh in delicious Kalama (tomato based) sauce. Dolomites – Stuffed grape leaves with lamb and beef and served with avgolemono (egg and lemon) sauce. Gyro – Lamb and beef blend served in Pita bread with tomatoes, onions and tzatziki, a sauce made with yogurt, garlic and cucumbers. Lamb Chops – Greek style seasoning grilled to perfection and served with Seasoned Greek fries. Loukaniko – Homemade Greek sausage seasoned with herbs and lemon juice sautéed to perfection and served with feta cheese and Kalamata olives. Loukoumathes – “Greek doughnuts” covered with honey and cinnamon prepared fresh at your request. Moussaka – Eggplant, meat, cheese filling with creamy Béchamel sauce. Pastitchio – Greek style lasagna. Saranac – Fried Greek cheese flamed with Brandy. Spanakopita – Spinach pie laced with Feta cheese. Tyropita – Three Cheese Pie. After you eat a great meal don’t forget to look for delicious pastries such as Baklava and Greek cookies throughout the food court. There will be an assortment of sugary treats for purchase. Disclaimer: Not a sponsored post. Information was taken directly from Saint Paul Greek Orthodox Church website. All opinions and ideas are all our own. Albertson's Grocery offers various coupons on the back of your grocery receipt. 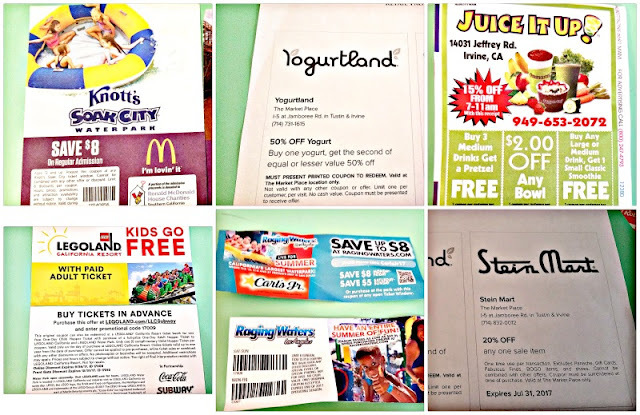 Each location offers local discounts. Make sure you check the back of the receipt when you shop. Raging Waters - save $8 weekdays $50 weekends. Coupon at Carl's Jr.
We are working to find you more deals. Please come back and check again for updates. Disclaimer: Remember to always contact the place of business for updates on their discounts and offers. This is not a sponsored post all thoughts and ideas are all my own. The Broad is a contemporary art museum located in the heart of Downtown Los Angeles. Admission is free but you must reserve tickets in advance. 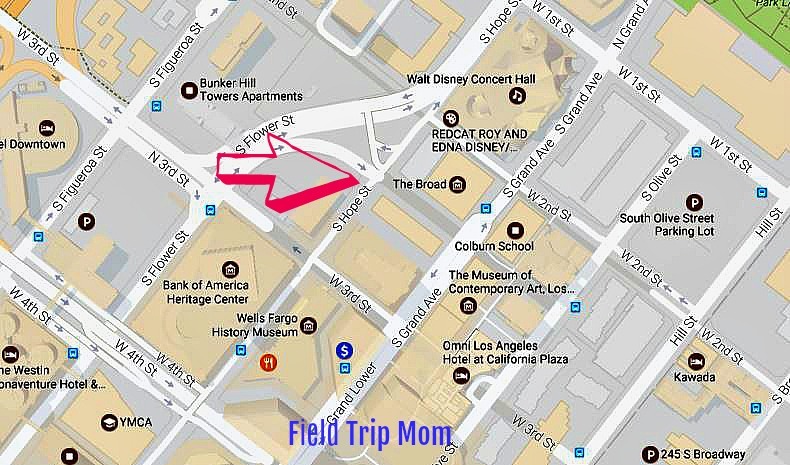 The free advance general admission tickets are often fully booked but there is a standby line available at the museum every day. The museum is closed on Mondays. Tickets through July are now available for advance reservation. Visit http://thebroad.org/visit/today for more information and reservations. Named after philanthropist Eli Broad, he financed the $140 million building which houses the Broad art collections. 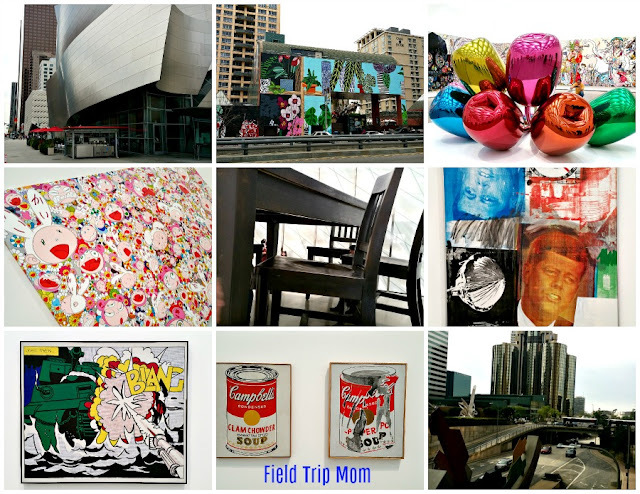 The museum offers over 2,000 art pieces in it's collection. Among them include many postwar and contemporary art pieces. This is a must see for anyone who is interested in contemporary art. Disclaimer: Field Trip Mom is owned by the Bosek family. This is not a sponsored post. All thoughts and ideas are all our own.